The travel backpack is one of the most important travel accessories that add up to the comfort of your travels. Over the last 7 years, I have been on quite a few adventure trips using several backpacks for traveling the world. To this day, I still use them and while some have been good travel backpacks, others were flimsy and painful experiences. The reason is that it’s not always easy to find the best travel backpack due to the high volume of options on the market. Not to mention, it’s time-consuming and requires experience to be able to narrow down the list from hundreds of travel backpacks in 2019. Therefore, to make choosing the best traveling backpack easier, we researched the market and found the top carry on travel backpacks. We reviewed these backpacks and added them to the list of the top travel backpacks for carrying on based on many criteria and features. These women’s and men’s travel backpacks have passed the test of time and have a proven record of hundreds of happy consumer reviews. They are affordable yet high-quality and breathable, have a top-notch design, useful features, and comfortable padded parts. We will regularly review backpacks that are the best value for the money and add them to our backpack buying guide. This way you (our readers) will not miss on the best carry on travel backpack deals on the market. 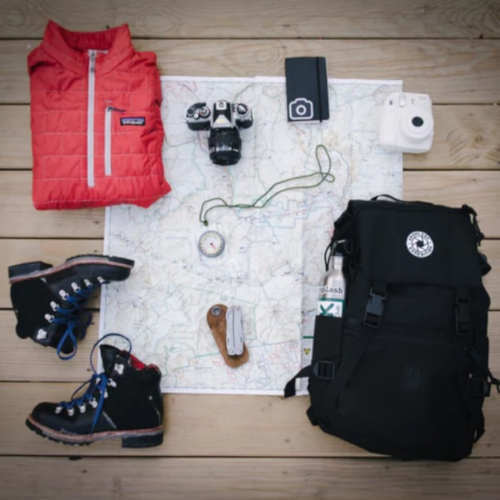 For 2019 our top backpack for traveling picks are listed below as well as backpack size guide and buying guide. With no doubt, the best backpack for travel in 2019 is the Farpoint 40. This comfortable 40-liter backpack has been occupying the first place in the best backpacks reviews for quite some time. 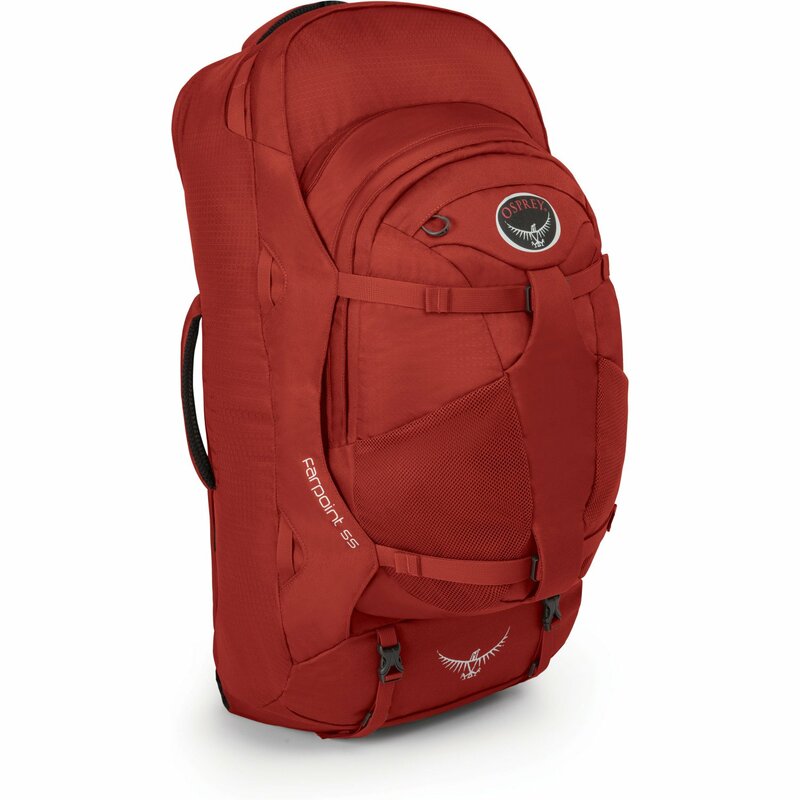 The Osprey Farpoint 40 travel backpack features a nice elegant design making it the perfect carry-on backpack for men. 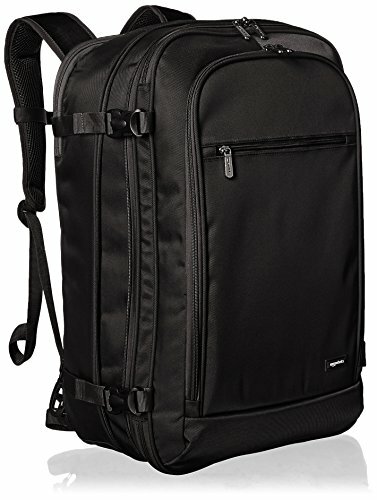 This 40-liter traveling backpack features large front loading zip access to the main compartment, dual front mesh pockets, an exterior zipper pocket, lockable laptop sleeve, an interior zip pocket, and 4 internal and external compression straps. But the features of Farpoint backpack don’t end here. This bag also has the stowaway back panel, top and side padded carry handles, harness and hip-belt. The stowaway system allows you to zip away the harness and hip-belt to create a slimmer profile for the bag for easy storing and transportation. Last but not least, the Farpoint 40 liter backpack utilizes an internal light-wire frame suspension that helps transfer load from harness to the hip-belt. Therefore, there is no excessive pressure on your upper back because the weight is better balanced between your upper and lower back. While being a compact and lightweight backpack, the Farpoint 40 offers enough compartments to allow organization for backpacking around Europe or Asia as well as a weekend or business trip. Click here for the current price, more information and reviews. Available in nearly 20 colors and designs, this Hynes Eagle travel bag is one of the top travel backpacks for traveling. It has durable Polyester materials that can last years before you need another travel backpack. Hynes 40L backpack has several compartments and the front load design, which makes packing and unpacking easy. The interior includes a huge compartment for your clothing, compression straps, and a large zipper pockets. The exterior design includes a water bottle holder, chest strap, padded adjustable harness, 3 pockets, and a tuck-away harness pocket. 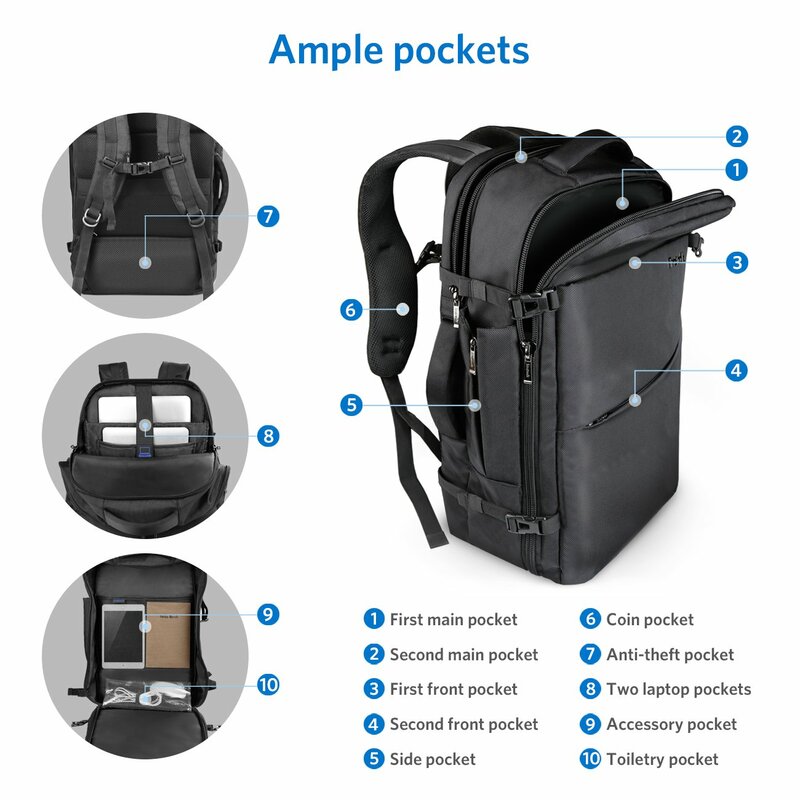 The front pocket includes a laptop compartment with Velcro to secure in the device, a tablet sleeve, and multiple pouches for your documents and other belongings. As you can see, while the interior is pretty basic, the exterior is complete. The Hynes Eagle travel carry-on backpack has soft padded top and side handles. It also allows you to tuck away the harness in the rear pocket and convert from a backpack into a duffel bag to create a slimmer profile when you have less space. Last but not least, this travel size backpack is lightweight and budget-friendly. We highly recommend this backpack for traveling in Europe, Asia and pretty much anywhere else because it meets the TSA requirement for most airlines. I am confident to say Porter 46 is the best women’s travel backpack in our review. 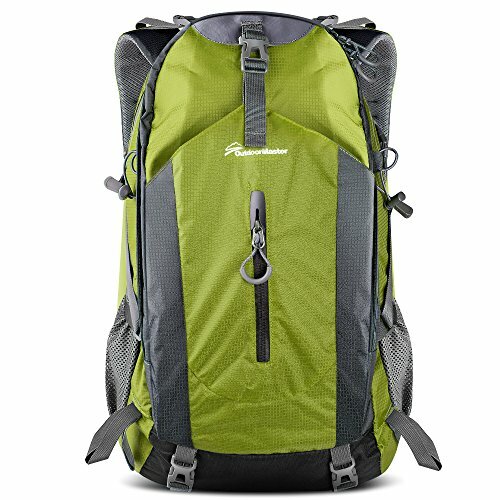 While at first glance you might think it’s similar to Osprey Farpoint 40, once you look deeper, you will realize it varies in size and design. 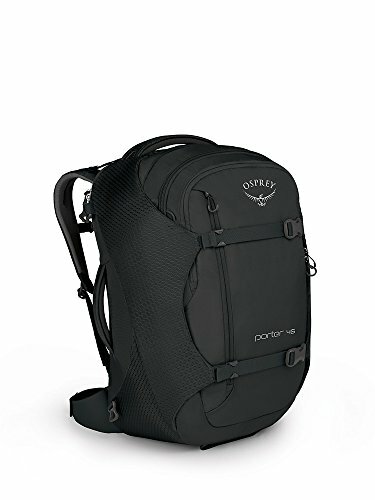 This Osprey traveling backpack is from the Porter series which is around the same price of the Farpoint series but has nicer features for women travelers. 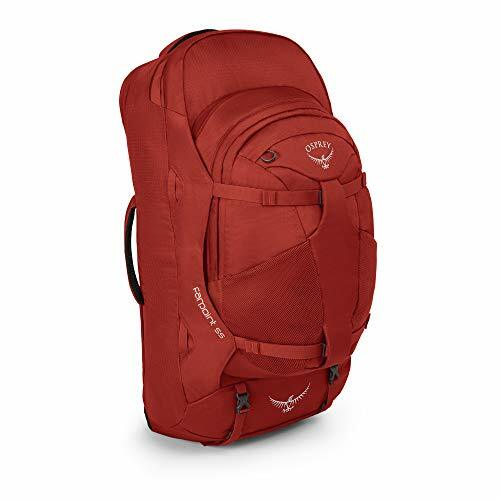 Being one of the best travel backpacks, the Osprey Porter 46L features padded side walls with compression straps to keep your belongings compacts, safe and in place during the trip. Porter 46 has a nice easy access laptop sleeve located in the back of the bag which makes screening in the airport much easier. Other features of this top traveling backpack include weight loader straps, a comfortable padded stow-away harness, a zippered top pocket that allows you to access your necessary item without unpacking the bag. These front loading men and women’ s travel backpack also has a lockable zipper to the main compartment for extra safety. 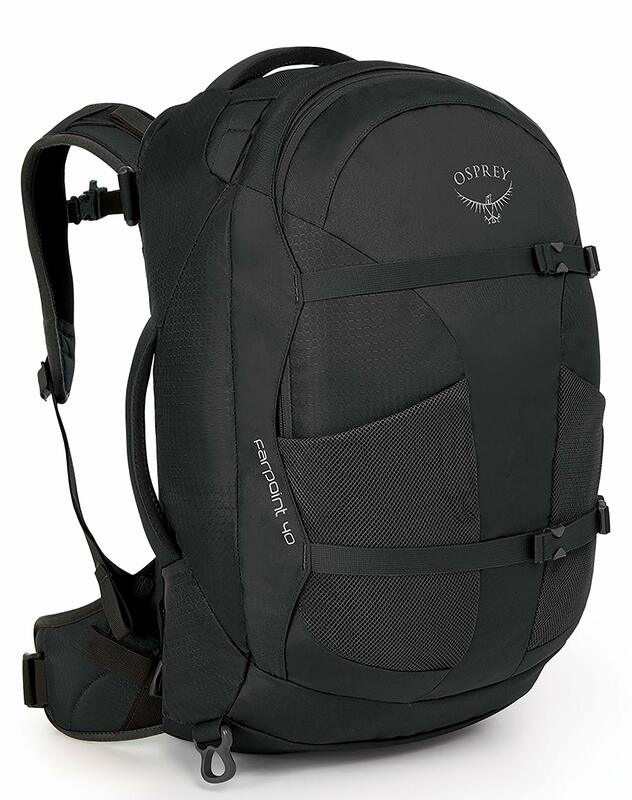 The Osprey Porter 46 lightweight travel backpack features also two front panel zipper pockets, top and side handles, hip-belt and a pocket to tuck the hip-belt away. Overall, it’s one of the best travel backpacks for backpacking trips due to its size and also a good trekking backpack for individuals who prefer more compact design. It’s one of the top choices among the best women’s travel backpack that we recommend, especially if you are using a traveling carry on only. Sold in 5 elegant colors, eBags Mother Lode a minimalist travel backpack made with high-quality materials by a reputable brand. This top-rated travel backpack boasts hundreds of high consumer reviews indicating the quality and durability. Inside the bag, there is a large compartment, two compression straps, a small zip pocket, and a large mesh pocket to allow you to organize your clothes better. As far as the exterior features go, the eBags Mother Lode international travel backpack has it all. There are padded side and top carry handles, tuck-away padded harness, chest strap, hip-belt, tablet pocket, and four easy access front pockets. The eBag convertible travel backpack also has the expansion system that adds an extra 10 percent space for your belongings. While it’s not a fully anti-theft travel backpack, it has lockable main compartment zippers to secure your stuff. When the harness straps are not needed, you can pack them away in the dedicated pocket located in the back. You can use the detachable strap (included) that allows you to carry the bag like a duffel bag. Last but not least, it has a small zippered pocket on the side that has a pouch to hold your water bottle and keep you hydrated during the trip. READ MORE: A must-have in your travels are compression socks to wear on a plane to help reduce the risk of DVT, leg swelling and blood clots. Looks like a leather backpack but it’s made of Polyester waterproof crinkle nylon. The Hynes has the 44L standard capacity and the compression zipper that makes the bag a 38L backpack. So, depending on the airline carry-on allowance, you can enlarge to 44L or compress back to 38L. This feature makes it one of the best Europe travel backpack baggage for men and women as the carry-on allowance might vary. It’s available in multiple colors so you can have what suits your travel style. What I love the most about this top travel backpack carry on is the exterior design and affordable price. There are 3 mesh back panels that will leave a bit of distance between your back and the backpack. Therefore, the air flows in the back and you won’t be all wet after arriving at your destination. The shoulder strap is also meshed and padded so it’s very comfortable and when you are not using the straps, there is a dedicated pocket in the back to conceal them away and create a slimmer profile. It also has back trolley strap to allow you to secure the bag on top of your wheeled luggage for easy transportation. Other good features include exterior side compression straps, 3 easy access exterior pockets, water bottle holder pouch, top and side padded handles. But that’s not all, the Hynes Eagle business travel backpack also has 3 internal mesh zipper compartments for flawless clothing organization. All and all, it’s one of the best backpacks for traveling abroad and we highly recommend it. With 25+ colors and designs, the Cabin Max is one of the best traveling backpacks. It has over 600 mainly top-rated consumer reviews testifying on the durability of the product. It’s a good quality budget backpack and being not the most expensive backpack is another reason travelers like it. With 44-liter internal capacity, front load design, 600D PU materials, multiple pockets for organization, padded straps, 3-year guarantee, and 1.5-pound weight, the Cabin Max 44-liter backpack takes a place in our carry-on luggage list. The external quick access compartment features multiple mesh pocket to allow you to nicely organize your documents and essential items. Inside the bag, you will also find 2 zipped sections for organizing your clothes and toiletries. This lightweight backpack for travel doesn’t have shoulder strap hide-away pocket. So, if you need to carry the bag by the top handle, the shoulder straps will be hanging and can get in the way. 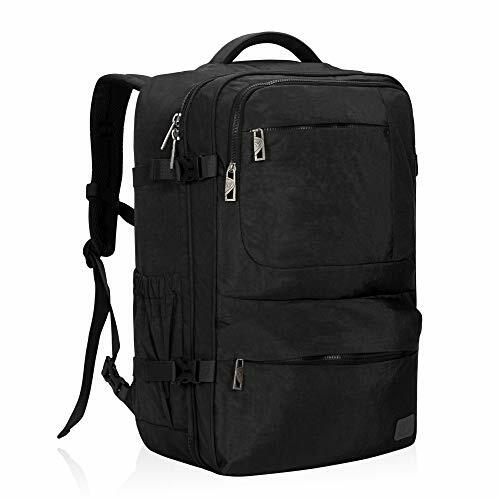 This large travel backpack also lacks the side handle and detachable shoulder straps. Therefore, you can’t convert it to a duffel bag. Other than that, it’s a good travel backpack for men and women. It’s super comfortable to wear thanks to its lightweight, padded back panel and well-padded shoulder straps. 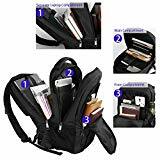 This small travel backpack, also referred to as laptop backpack, fits perfectly the overhead bin and can hold all your necessary travel items for short and long trips. 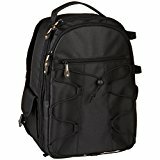 AmazonBasics men and women’s travel backpack features expandable design to hold your souvenirs in the way back. So you won’t really need to have another baggage to be able to pack clothing for your short trips. 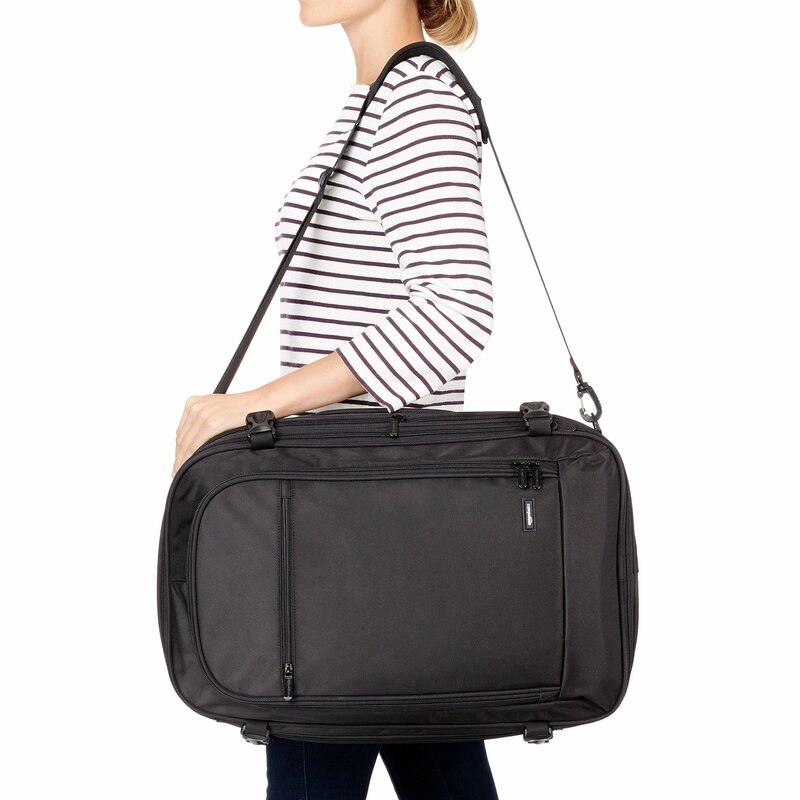 As far as the features go, this travel backpack for women/men comes with a tablet sleeve, external organizer pocket, and an internal large mesh pocket. This compact backpack for traveling is front-loading and has one compartment inside for your clothes making accessing your travel items pretty easy. Last but not least, this Amazon travel backpack features detachable shoulder straps that make carrying it around more comfortable. There are also external straps on each side of the bag to allow you to compress your travel gears and fasten them down. Featuring a nice design and available in many colors, the Inateck Classic 35L bag is one of the best travel backpacks for women and men. It has a large interior compartment and a sleeve where a laptop easily fits. It also has two interior pockets that really help to organize your clothing. The exterior of this pretty backpack includes two padded side and top handles and 4 adjustable compression straps along with a padded comfortable shoulder strap. The rear panel is also designed to allow airflow to prevent sweating. Inateck 35L backpack features highly water-resistant materials and a removable cover that help keep your clothing dry in case of rain. It meets most airline hand-luggage requirements so you don’t have to worry if one of your flights have smaller carry-on allowance than a standard airline. Because this bag is compact, it’s one of the best backpacks to travel in Europe, Africa, Asia etc. Last but not least, this top backpack for international travel has dual zipper with lock + anti-theft back pocket. If you are looking for trekking and mountaineering backpacks, here are the two top-notch backpacks for hiking, trekking, backpacking, and travel. While they excess the carry on dimension requirement, sometimes you still might be able to use these big backpacks as a carry-on. 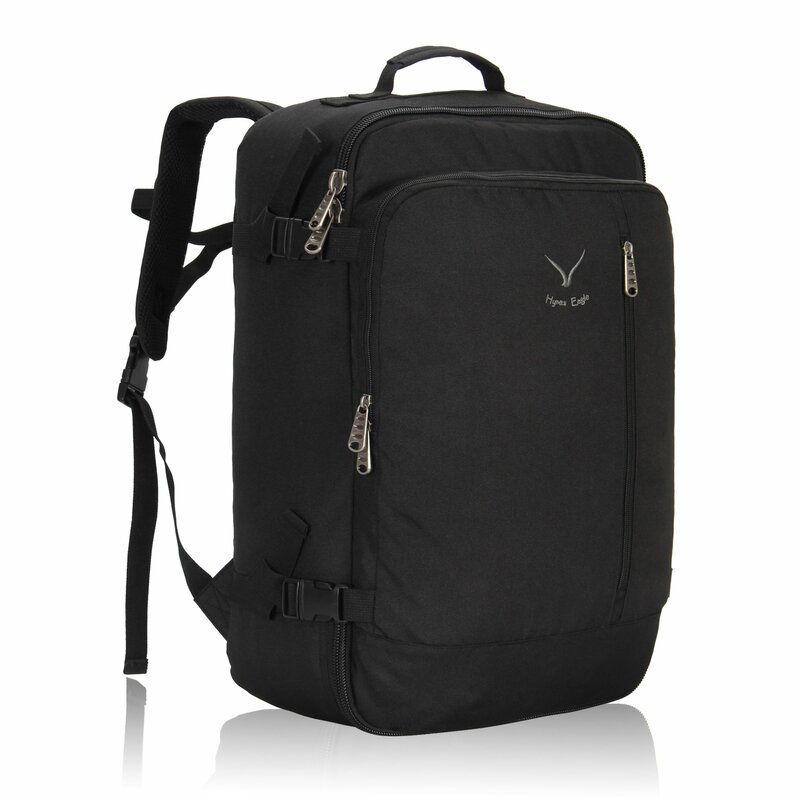 With top-of-the-line quality and design, the Osprey is the best bag for traveling backpacking and trekking. 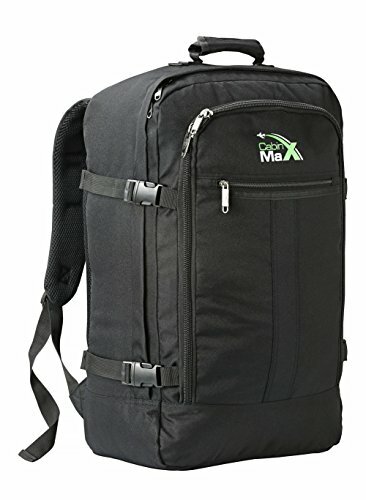 Looking up the consumer reviews, you will notice this bag holds up really well for long backpacking trips and several day treks. Features of this trekking backpack include large panel access to the main compartment for easy packing, a sleeve for your 13″ laptop, and a stow-away fixed back panel to allow you to zip away the harness system. Being one of the large backpacks for travel, it has multiple compartments for your belongings and large internal storage for your clothes and portable blender. For extra comfort, there are mesh padded handles, back panel, wide hip-belt and chest strap. But what is really nice about large Osprey Farpoint men’s backpacks for travel is the zip-off daypack that gets attached to the main harness for easy access to your essential travel gears. The final big backpack in our best backpack review is by Outdoor Master. It’s a very popular bag made of high-quality nylon materials, breathable mesh cloth fabric, and several compartments. This 50-liter hiking and travel backpack exceeds the carry-on dimensions. However, many consumers had no problem using it as a carry-on luggage in less restrictive airlines. It has some cool features such as waterproof rain cover, laptop compartment, mesh padded back panel, mesh padded shoulder strap, hip-belt, chest strap, compression belts and easy-to-access mesh water bottle pockets. Inside the bag, there is a computer sleeve section with the Velcro strap to keep your device secured and a good amount of space for your clothes. The easy access pocket in front of the bag is also pretty large and can hold a small laptop/tablet, phone, documents and other essential items. There are more nice features to this spacious backpack, click below to find out. Backpack sizes are measured in liters (i.e., how much they can contain). They vary from 15L all the way to 100+ liters. Which size backpack to choose depends on how you like to travel and for how long you are traveling. 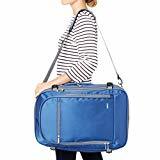 If you are the type of traveler who doesn’t like to wait in the airport for the checked luggage to arrive, then it’s obvious that you need a carry-on backpack (40-45L) that can hold your clothing, laptop, and other accessories. There are quite a few other factors to consider when choosing the right backpack size. 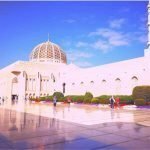 The season of the trip, the length of your trip, the number of suitcases you are intending to take, and the number of people you are packing for. 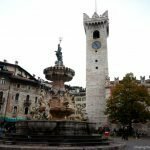 It also depends if you are planning to buy clothes and souvenirs. 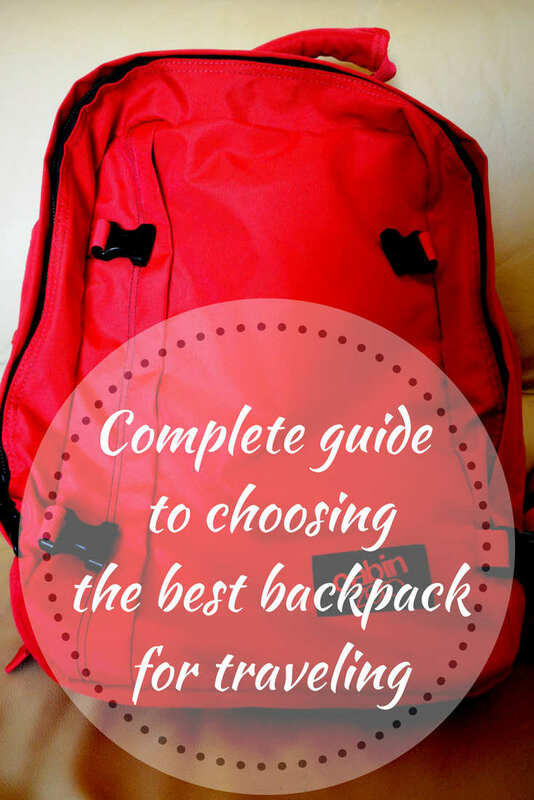 Without all this information, I can’t tell you which is the best traveling backpacks for women or men. What is certain is that if you are doing a long backpacking trip or need a trekking backpack, you should definitely go above 40L size. If you are looking to buy the best backpack for travel that can fit under the seat of a plane, the 15-25L bags are for you. They meet the 36 linear inches requirement for under-seat backpacks. However, you need to keep in mind that they are too small for long trips unless you also have another carry-on suitcase luggage. Here is the deal! The top travel backpacks for traveling fall between 35-45-liter size. And if you are a light packer, you probably wouldn’t need another baggage for a weekend trip. A 40L backpack is considered your main carry-on baggage and can hold enough clothes for traveling within one climate and ideal for short and long trips. Note that a 40 or 45 L backpack exceeds the limits for under-seat luggage and usually it needs to be stored in the overhead bin of the airplane. I have been using the 44L backpack size and sometimes I feel it’s too much and I much prefer my wife’s 36L because it holds the laptop and other essentials perfectly. But it’s obviously because we also have a checked-in suitcase wherever we go. I would say, if you need a bit more space for extra clothes and equipment, consider this size. Otherwise, I suggest you go with less than 45L as it’s easier and more comfortable to carry. Keep in mind that 45L bag is the maximum size for a backpack in the overhead bin for many airlines. Some airlines have less strict rules and don’t bother if you even use a 55L backpack as a carry-on, but do check the requirements before heading to the airport. This is the perfect size when you are looking for camping, trekking, and mountaineering backpacks. 90 L size is definitely not for regular trips as they are huge and designed with the internal frame to hold much clothing and hydration bladder in addition to tents for 1 to 2 persons. They are usually referred to as backpacking backpack and camping backpacks. Keep in mind that these trekking backpacks exceed the carry-on size. Front loading vs top loading. The best travel backpacks feature front loading large panel zipper which gives easy access to the main compartment so you can pack and unpack your belongings in a breeze. But there are many backpacks with the top-loading design which is not ideal and a bit difficult if you need to access certain items in your bag. 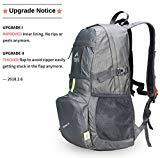 Some of the top backpacks for travel carry-on we included in this traveling backpack review allow you to open the front panel completely, like suitcases. They are also called the Mother Lode backpacks. When looking for the best backpacks for travel, it’s important to make sure there are compartments for your accessories. 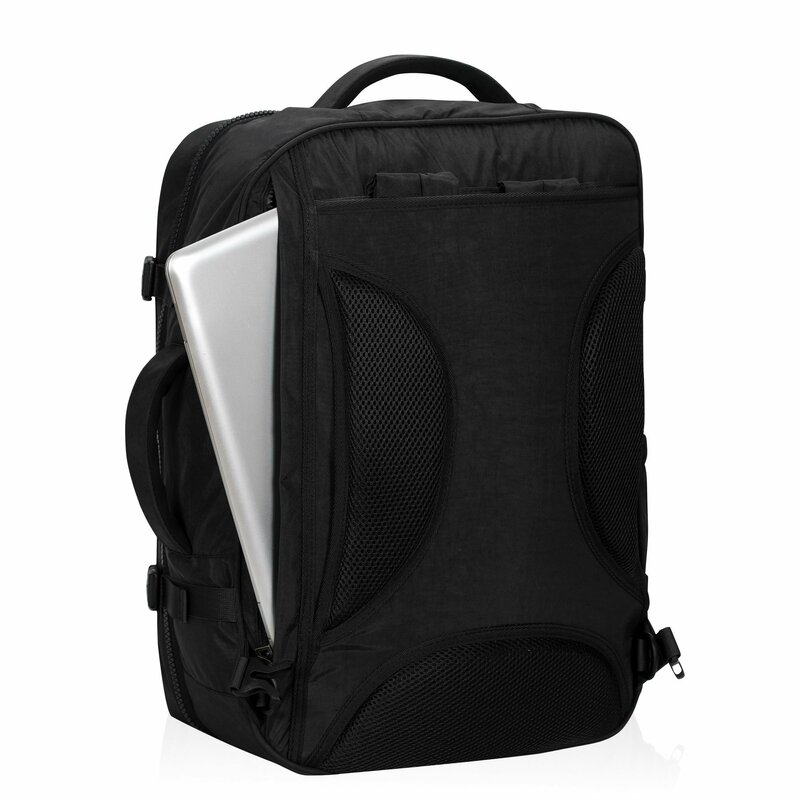 Some of the top travel backpacks carry-on feature tablet and laptop sleeve to secure in your devices. Traveling backpacks with internal pockets help to organize your items better. It’s also easier to access your travel gear throughout the trip. Important! Pockets are important but the sections/compartments that hold your address book, pen, phone etc are more important. So look for backpacks that have compartments inside the pockets. The best carry on travel backpacks are designed with the bottom, rear, side and internal panels to protect your devices. These panels help to keep the bag firm and nice while keeping your tablet/computer safe from impacts. The most important panel when looking for the best travel backpack for Europe or any other long-distance trip is the back panel. It has to be breathable with curves to allow airflow otherwise you will hate your traveling backpack. We have recently tried few travel backpacks for women that didn’t have breathable mesh back panel and we hated it. They are unbearable, especially in the warm seasons. There are many scenarios when you might have to grab the handle and carry your travel backpack on your hand rather than on your back. Therefore, it’s essential to make sure your traveling backpack has durable padded handles. The best backpack for traveling comes with top and sided padded carry handles to easily convert from a backpack into a duffel bag. The best backpacks featuring a comfortable mesh harness system make it much easier to carry the luggage on your back. Also, the padded mesh adjustable hip strap provides comfort and balance for long walks and hikes. Some of the best backpacks for traveling also allow you to zip away the hip-belt and the harness when you need to create a slimmer profile bag. 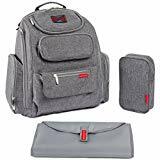 The best backpack for women and men comes with single or dual front pockets for easy access to your documents and other accessories. The zippered mesh pockets also help you stay more organized. High-end carry on luggage backpack feature the mesh interior pockets, harness, hip-belt, and back-panel to improve ventilation and prevent chafing in the long distance. 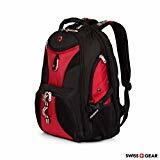 Travel backpacks with wheels and everyday backpacks with adjustable exterior side buckles and front compression straps keep the bag firm and the contents in place throughout the trip. In order to be able to take your backpack inside the plane with you, you need to make sure the traveling backpack dimensions meet the TSA requirements. The best carry on travel backpack is below 23″x15″x11″ (45 liters) to fit in the overhead bin in the majority of planes. In order to take more of your clothing and accessories, it’s important to look for the best travel backpacks carry-on that weighs less than 4-lb. Also, some traveling backpacks feature a bulky design which takes too much space and doesn’t look organized or sharp. Therefore, we recommend you the best backpack for men and women that have a good capacity for your stuff but compact design. 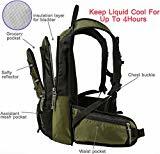 Whether you are buying a backpack for traveling abroad or tactical backpacks, water resistance and durable fabric is important. When it rains and you are away from home, you want to make sure your clothes stay dry and ready to use. The best backpacks for backpacking and hiking also include a waterproof cover for heavy rain. While some cheap backpacks come with low-quality zippers, the best-organized backpacks feature two-way metal zippers that are more convenient to use. While spending your money, you always want to make sure you are buying the best quality backpacks with refund and long warranty policy. Another reason Amazon is the best place to buy backpacks and other backpacking gears is their safe refund/return policy. Hundreds of thousands of pick-pocketing happen every day around the world. Therefore, some travelers prefer to use anti-theft backpacks to prevent ugly unwanted scenarios. If you buy one, look for the best anti-theft backpacks featuring rear-open structure, high density cut-proof, hidden pockets, scratch-proof materials, weight balance, and water-repellent fabric. There are several brands that make the best backpack for tech and travels with USB charging port for easy access to charge your devices. It comes handy when you are waiting in the airport and need to charge your phone but don’t want to take your power-bank out of the bag. This feature is usually found in business travel bags. One of the safest and easiest ways to access your credit cards/metro tickets, passport or headphones is through the hidden compartments on the shoulder straps and at the back of your traveling bags. So, this feature is a plus for your Europe travel backpack. The best traveling backpack should have a water bottle holder to keep you hydrated during your trip or day out. Another good feature to look for is the shoulder strap. It allows you to carry your travel backpack on your shoulder like a garment bag when needed. Backpacks for traveling fall into many categories and shapes. While some are designed to be used mainly during a trip, the majority of these backpacks can be used after you arrive at your destination and when you start exploring during the holidays. Here are the types of traveling backpacks that vary in size and shape. They feature a basic design with a high capacity which is why you can use them for your extended trip or a weekend city break. You can use these backpacks for business travel or holidays and most of them feature a unisex design. These professional backpacks for traveling are mainly made of nylon and polyester. We included some of these international travel backpacks in this review. They are smaller carry-on backpacks with less capacity for clothing so they can fit under the seat in the plane. They are very common to carry when you are traveling for a short time or when you already have a checked and carry-on suitcase with you. 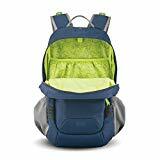 The best under-seat backpacks can hold your essential items such as laptop, tablet, headphones, books, pens, water bottle holder and some clothing. They are some of the best carry-on travel backpack types for individuals wanting to travel lighter and more compact. There are some airlines that allow you to only take an under-seat backpack when you have a carry-on suitcase with you. These waterproof backpacks for travel feature light fabric, multiple compartments and some of them have detachable daypack bags. They come in two designs, the foldable light and larger model with extra compartments and bulkier design. The light hiking bags are very flexible and usually, they are designed to fold and convert into a zippered inner pocket to fit anywhere. Their compartments include laptop sleeve, mesh pockets, and a water bottle holder. The beauty of these travel backpacks is that you can fold them into a tiny pouch during your trip. So, once you arrive at your destination, you can convert it again into a backpack and use them for your daily adventures. These top loaded backpacks are probably the most complete type of bags that have a huge capacity and many compartments for traveling. Designed for backpackers, the backpacking bag has a place for everything. Backpacking packs are usually tall and feature hip-belt for extra balance and support. You can use them for backpacking, hiking, and camping. Backpacks for business travels feature a firm structure and slim professional look compared to holiday backpacks. They feature multiple compartments for your documents and other work accessories. The majority of these backpacks don’t have compartments for your clothing. Also known as day backpack and backpacks for commuting, they feature the lightest fabric among all the travel backpacks. These foldable backpacks can fold into a small cube during the trip so they take very little space. You can use these lightweight backpacks on your casual day out exploring a city during your holiday. You can also use it to carry your jumper for the late evening when it’s cold. They are also called wheeled travel backpacks because they have two wheels for easy transportation inside the airport. 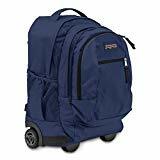 So, if you are looking for travel backpacks for women or men that can convert into a rolling carry-on luggage, the wheeled backpacks are for you. These top carry-on backpacks often feature a laptop compartment and several external and internal pockets. They also have the retractable multi-stage handle. With a bladder, a hose, external pockets for grocery shopping this camel back keeps you hydrated and offers compartments for your accessories during your journey. You can use these travel backpacks for a day out hiking, trekking, or doing a safari trip. They can keep the water cool for up to 5 hours. 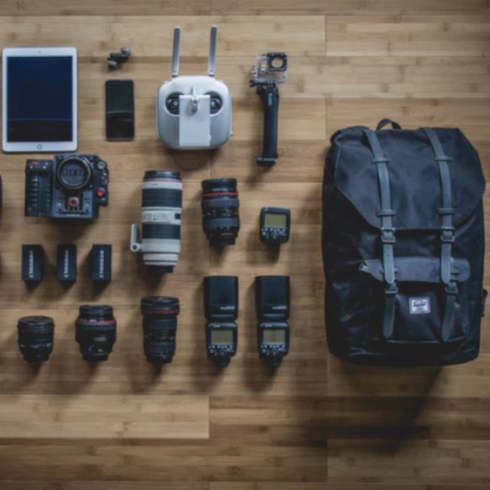 This type of backpack is designed for your cameras and the camera accessories. They can hold up to 2-3 cameras and multiple lenses alongside other small accessories. These backpacks for cameras are usually waterproof and have panels to protect your belongings against impacts. These travel backpacks are for women and men who need to organize and carry the essential items for baby care. They have the specific compartment for diapers, food, and extra clothing. Diaper traveling backpacks come with 10-20 pockets to fit every item for your baby. You can use them for a day out picnicking and family holidays. 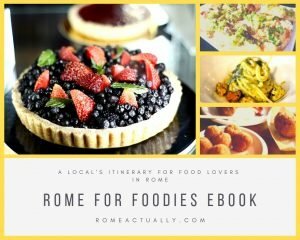 ➧What about other best traveling backpack brands? There are a few more top-rated backpack brands, in addition to the 10 best travel carry on backpacks we listed above. Therefore, we made a list of these brands to make sure you are aware of your other choices of best travel bags on the market in 2019. These best-rated backpacks offer high-quality fabric, anti-theft features, and top design. This sport and travel accessory brands has been providing athletes and travel explorers with high-quality products since 1966. Some of their high-end travel gear includes luggage and duffel bags, tents, sleeping bags, men’s and women’s backpacks. 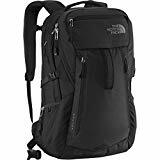 The North Face backpacks fall into many categories such as commuter backpacks, classic backpack, and hiking bags. We included the best North Face backpack in this top traveling backpack review. Click here to check the price and to read more reviews. This travel bag brand was founded in the early 70s in California. Today, this travel bag manufacturer is known all over the world for their high-quality innovative backpacks. Some of their top-of-the-line traveling backpacks are the Hikelight, Daylite, Fairview and Farpoint backpacks. Fairview backpacks are designed based on women’s anatomy and Farpoint bags are based on men’s anatomy. Osprey travel accessories include wash bags, stuff packs, camera bags, dry sacks, rain covers, and packing cubes. One of the best Osprey backpacks have been added to this backpack for traveling review. For over 50 years they have been one of the leading travel bag companies producing top-notch backpacks and other traveling luggage bags. eBags backpack line goes beyond one or two models and designs. They have a bag for everyone and every type of adventure. Their bags include the backpack for college, backpack for laptop, camping backpacks, and sack packs. 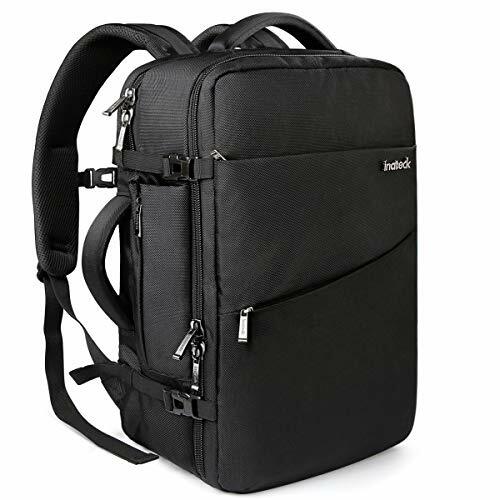 We also made sure there is one of the best eBags travel backpack models reviewed in this backpack for traveling buying guide. 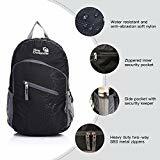 If you look for a backpack for traveling on Amazon, you will probably see the brand AmazonBasics with hundreds of top consumer reviews. Being an Amazon brand, they are making high-quality products and sell them at an affordable price. 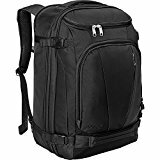 By purchasing an AmazonBasics backpack you get a free Amazon prime shipping in an unbeatable price. The company is manufacturing more traveling gears every day for explorers and adventures around the world. They have been innovating anti-theft backpacks and other travel equipment solution for the last 20 years. Pacsafe backpacks are some of the safest on the market that can make your trips more comfortable and headache-free. Pacsafe travel backpacks take the security measures to the next level with popNLock clip, turn & lock hooks, and locking cables. If you are worried about your passport and other belongings being stolen, perhaps a 40-liter travel backpack by Pacsafe is a good choice for you. This travel bag brand stands on the higher-end and more expensive category. Timbuke2 products feature top quality and innovative designs. Some of their products include school, lightweight, work, travel and laptop backpacks. They are also known for their briefcases, totes, and commute-friendly bags. Last but not least, this backpack brand is also popular for making high-end great quality leather travel backpacks. It’s one of my favorite travel gear brands with over 30 years of experience in manufacturing luggage carts. This travel products industry leader has been making carry-on luggage, toiletry kits and accessories, packing cubes, and other travel organizers. You can see one of the Travelon Packable backpacks in the link below. 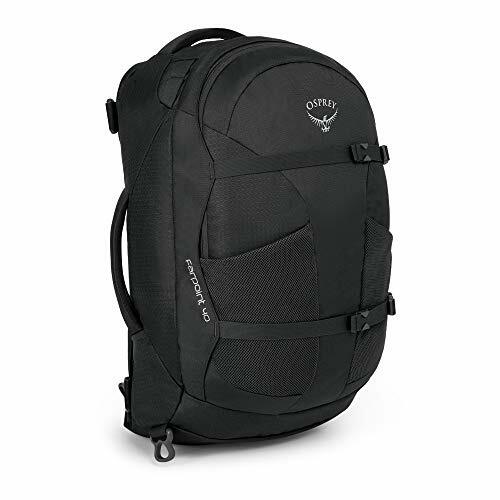 If you don’t like the above travel backpack carry-ons, make sure to check out the Oakley travel backpack, Eagle Creek travel backpack or the Adidas travel backpack. There are also two more highly-rated and most reviewed backpacks to consider, the Nike travel backpack and Tumi travel backpacks. 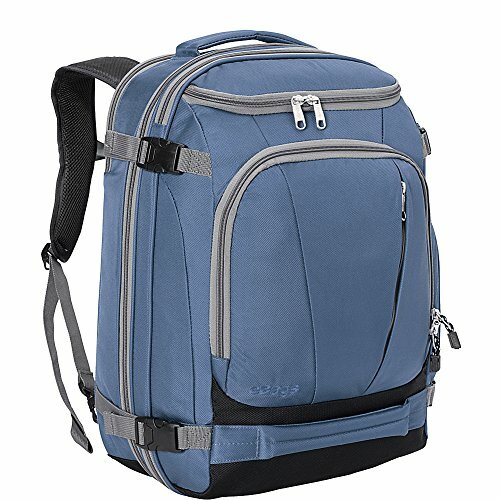 All the above reviewed large and carry on travel backpacks have unique features from expandable sides to laptop compartment, to USB charging port and more. The expandable travel backpacks featuring zipper compression provide extra 10-20 L storage while the under seat flight approved travel backpacks are lightweight and perfect for a daypack. While our reviewed traveling backpacks can cost as little as $40, they all have certain features that come in handy depending on the type of your trip. Featuring ergonomic comfortable design, several easy access pockets, laptop section, and airflow design, these backpacks make baggage transportation easier. When buying travel backpacks, consider the type of your trips. Before traveling always make sure to weight your baggage using the portable digital luggage scales.